CARFAX 1-Owner, Mazda Certified, ONLY 16,988 Miles! FUEL EFFICIENT 31 MPG Hwy/24 MPG City! Onboard Communications System, Keyless Start, Smart Device Integration, iPod/MP3 Input, SOUL RED CRYSTAL METALLIC PAINT, Alloy Wheels READ MORE! Back-Up Camera, iPod/MP3 Input, Onboard Communications System, Aluminum Wheels, Keyless Start, Smart Device Integration Rear Spoiler, MP3 Player, Keyless Entry, Remote Trunk Release, Steering Wheel Controls. 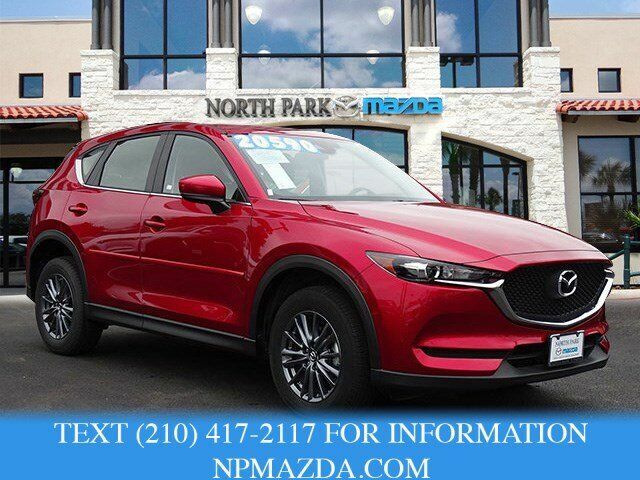 Edmunds.com explains "Mazda's penchant for handling prowess is alive and well in the CX-5. If your commute involves any twists or turns, you might not consider any other crossover. This is the best-handling small crossover. No doubt about it.". Great Gas Mileage: 31 MPG Hwy.